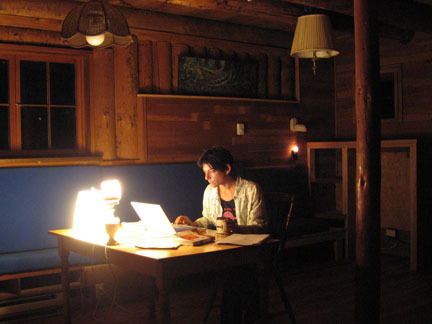 I stayed in a log cabin on Bainbridge Island all last week to work on my book proposal. I get it now, retreats. It was awesome and I got SO much work done. I know about Sacred Groves because it’s my friend Ariel’s childhood home, which is hard for me to imagine. 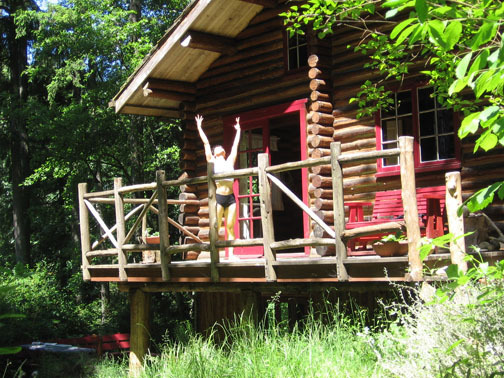 Ten acres of forest and meadow and woodland animals, and her hippie parents designed and built the log cabin themselves (!). Now her mother Therese lives there with her partner, Tere, and it’s kind of… a commune? Except while I was there, only one other person was around, and it was very peaceful (no scheduled sweat lodges or pagan ceremonies). 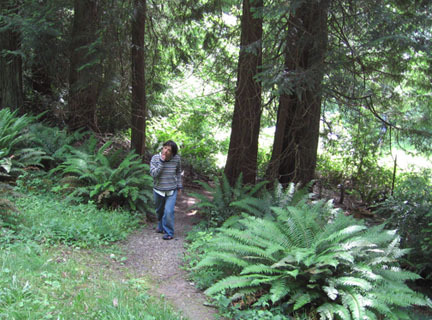 The Sacred Groves website has a lot of photos. It’s gorgeous. 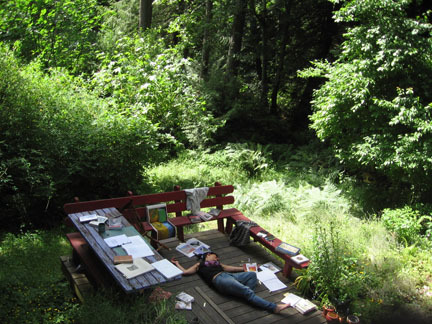 True: I wandered down the forest paths, coffee cup in hand, brainstorming. 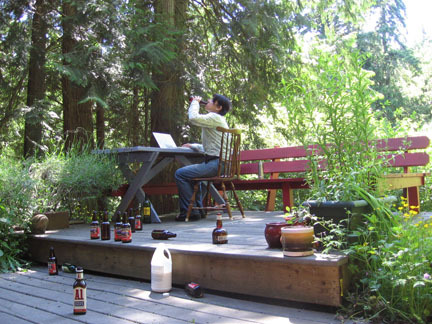 How “writer’s retreat” is that?? … another good time to brainstorm. 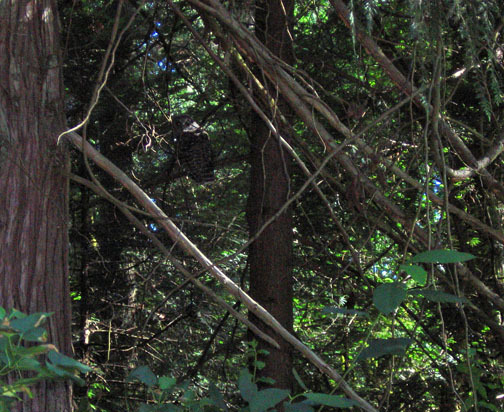 See the owl? It was huge. It came and sat on a branch out back three days in a row. Midnight of the last night I was there, polishing my chapter outline. Very, very satisfying. Very proud of myself. Happy.